Laptops started out as potential replacements to the all-mighty desktops back in the day, and in the last decade or so, the transition has been successfully achieved with most enterprises now switching to high-end laptops over desktops. 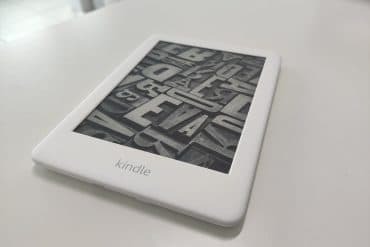 The reason for this has been the inclusion of high-end specifications in a compact package with adequate cooling to make sure that the device does not face physical damage due to extensive use. One of the most prominent brands in the laptop market is HP and when it comes to high-end laptops, you cannot ignore their crown jewel – The HP Omen 17. Being the eldest of the Omen lineup, the Omen 17 has its own little perks which put it a step ahead of the rest of its siblings. First, this is the ability to configure the laptop with a Nvidia GeForce 1070 graphics card. Whats the big deal about this? Well, the GeForce 1050 will let you play any game you have in the market today. The GeForce 1060 will give you the oomph of VR. The GeForce 1070 will let you play the games that come tomorrow. The market is moving forward at a feverish pace, and the more future proof your device is, the better. We also have a new version, 1080, but the price tag on that is just a whole other thing altogether. Pair a high-end graphics card with a 7th gen. Intel Core i7 processor and what you have is a truly formidable piece of hardware that is ready to knock aside anything you throw its way. Any PC game played at 1080p resolution is lag free and butter smooth. You may find it a bit itchy when pumped up to 4k resolution but that’s a very rare sight. The Omen 17 has been recorded to output 70 fps at higher 4K resolution. The problem with gaming laptops is that you cannot hot-swap graphics cards, which means you are stuck with what you buy. So I highly recommend that if you want to get the maximum out of the Omen 17, shell out a bit more and get yourself the 1070 graphics card. Portability is clearly not your priority if you are looking for a huge 17-inch laptop. However, HP still gave it a considerable thought and the result is a very sleek and relatively compact frame. At 6.3 pounds, it not the lightest laptop in the world, and certainly not something that you would carry to work every day. But its definitely something that you can move around the house and take it over to a friends gaming party on the weekends. That said, it’s still considerably lighter than most other gaming laptops in the market. The design also is a bump up from the previous generation of HP high-end laptops. We have a two-tone finish, accented by carbon fibre and the red-hot Omen logo. The same red extends into the keyboard, as the keys glow red to show that you are using a gaming laptop. I still prefer the backlit system on the Razer laptop, but the one on the Omen is clearly up there. While the Omen 17 is a classic example of the quintessential gaming laptop, it does have a few trade-offs. The Omen 17 features a beautiful 4K display which makes Netflix and UHD gaming looks like a dream. The drawback, however, is that you will not be able to enjoy this for a long time. The battery tests show that you can get just about 3 hours of use on a single charge, which means extended gaming or media playback will require you to plug in your Omen 17 making it difficult to carry around. 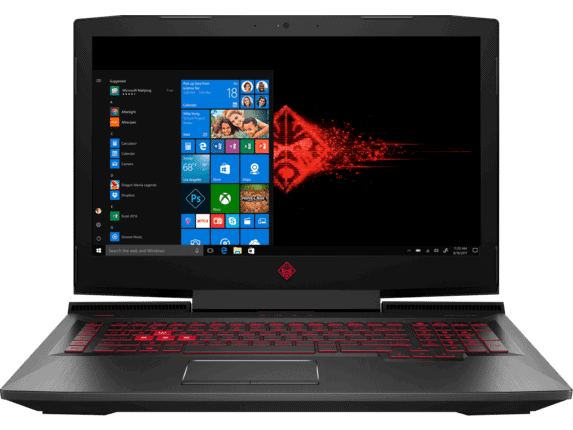 Overall, the HP Omen 17 is a solid product and a really good option for you to consider if you are in the market for a high-end gaming laptop. It’s not the best though since you have the Razer Blade Pro which packs in a GeForce 1080 graphics card in a slimmer frame. We also have the MSI GT83VR which costs a bomb but is one of the unbeatable gaming machines out there. That said, none of them can match the blend of style, performance and value for money the way HP Omen 17 can.